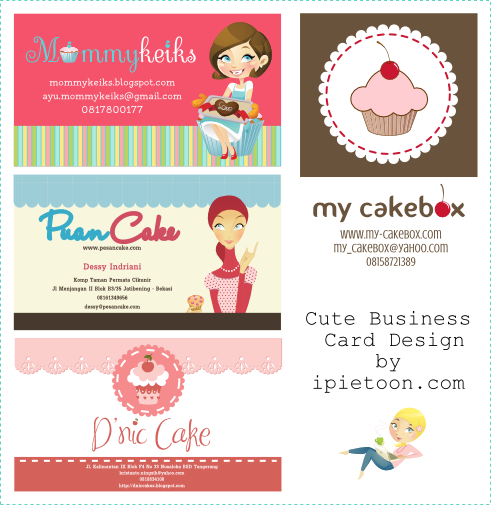 Usually, my client ask for business card or name card that match to blog design. Mostly, custom blog design I've made is cute appearance dominated with cute illustration and pastel color. So, the result is cute business card design too. Some clients request simple design but anothers want a colorful design. The key is, match with blog title design, header illustration and suitable font. So here some of my cute business card design. Lovely card design!The layout looks so cool and attractive!! Cute ! Like it !